AccuWeather, the global leader in weather information and digital media, announced it has integrated Samsung's Smart View capabilities into its Android app, allowing users to cast detailed, interactive AccuWeather radar and satellite maps from their apps directly onto their Samsung televisions. This additional platform expansion with Samsung gives Android app users additional ways to view the most accurate, most trusted weather information and updates from AccuWeather, personalizing the weather so people can improve their lives. 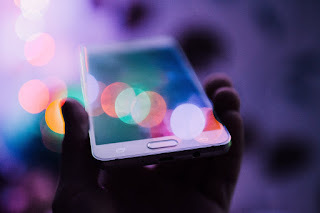 Users gain access to Samsung Smart View capabilities by entering the map section of their Android AccuWeather flagship app, allowing AccuWeather to search for compatible Samsung televisions. When a compatible Samsung Smart TV is available, a cast icon will appear on the screen of their mobile devices. After tapping the icon, users will see the listing and select the TV to project maps. After connecting with a Samsung TV, the AccuWeather Android app can be used as a remote control for the images on the TV, panning and zooming maps, exploring the radar animation, switching between radar and satellite views, and much more. "AccuWeather is pleased to expand our partnership with Samsung on Connected TV platforms," said Steven Smith, President of Digital Media at AccuWeather. "We continue to expand our platforms for users around the world, providing the weather information they need with Superior Accuracy™ when and where ever they want it. Android users can now stream the most accurate, most trusted life-saving forecasts from AccuWeather directly to their Samsung television." 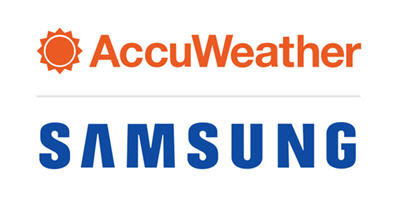 AccuWeather and Samsung have partnered for more than seven years to bring Samsung users the world's most accurate, actionable weather news and information through a wide range of Samsung's best-selling devices, including the Samsung Galaxy S7, Samsung Gear, Samsung Connected TV, and SmartThings devices. Users receive customized, localized forecasts for locations worldwide including current conditions and hour-by-hour forecasts from the world's largest, most accurate source of forecasts and warnings in the world.